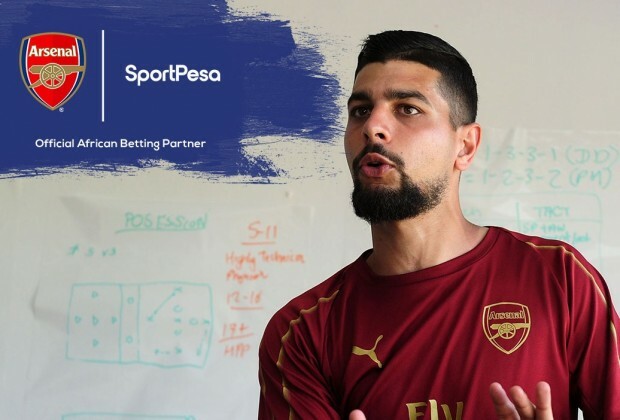 Local coaches in South Africa completed their Coaches To Count On course with SportPesa and Arsenal FC yesterday, with Simon McManus explaining what exactly took place during the three-day program. Arsenal’s Football Development Lead coach, McManus imparted his knowledge with the coaches in attendance during the theory sessions across the three days, while Cape Town City allowed him to use their reserve team for practical sessions, sharing experiences of how young players are being coached in their academies in London. Read more: Doc: Were Chiefs Signing These Players Just To Fill Up Gaps? “We were excited to be here in Cape Town with SportPesa and the Arsenal coaching clinic, we’ve done a three day coach the coaches program as part of the wider Coaches To Count On campaign, we are really proud to be part of the campaign with SportPesa, they share the values that we do at Arsenal in trying to give back to the communities and trying to help them grow by sharing knowledge. Across the three days we have been trying to impart knowledge and share the experiences we used in London with our academy players – across to the South African coaches,” McManus explained to Soccer Laduma. “It has been a really good three days, they have been really engaged and asked a lot of questions. We had a lot of discussions and it has been a really good two-way learning experience. “Some of the topics that we’ve covered have been, what we perceive the role of a coach to be, the difference between isolated practises and integrated practises so we can develop well-rounded players and we have been really fortunate that Cape Town City FC let us use their reserve players which have been really good for both myself and the coaches because it enhances the visual effect of what we are trying to talk about in a theory session. We blended theory and practical sessions to try and give everyone a holistic learning experience,” he added.